Did you know that within each of the 15 MPMK 2017 Gift Guides, there are several mini-gift guides? Actually, let me back up a second and say how much I’ve enjoyed all the comments I’ve already been getting from all of you on this year’s guides. These are awesome! I’ve waited to make Christmas lists until they came out- and now I”ve shared with all my friends. The past two years I’ve used them and the gifts are ALWAYS a hit! 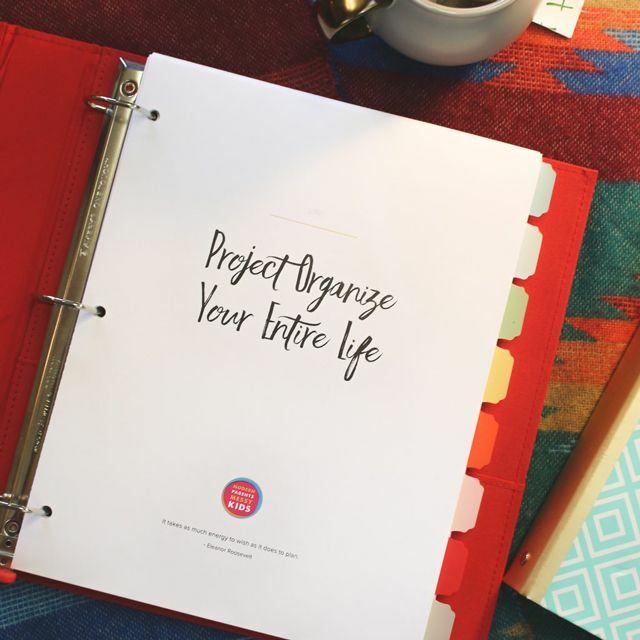 I am such a fan of your website and emails! Thanks for working so hard, especially at Christmas shopping time! Grandparents have scored major points after I forwarded them your lists. 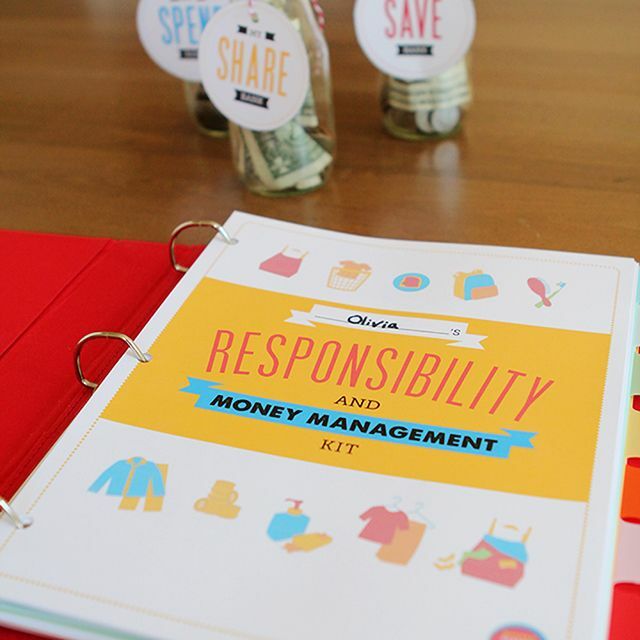 As you know if you’re a regular reader here, our mega gift guides are a true labor of love. I spend A LOT of time researching and putting them together. When the work is finally over and I start to get feedback that they’re truly helping parents to find high quality, engaging and stimulating toys it feels great. So THANK YOU! 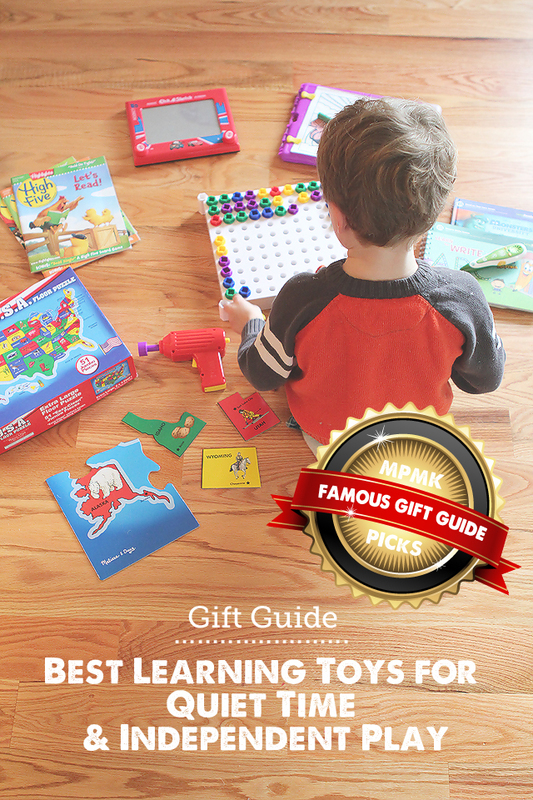 All of that being said, I do realize that the gift guides are a lot to take in- detailed descriptions and age recommendations of over 400 toys, books, games, and more takes some concentration to get through. I’ve heard from several moms in fact, both via email and in real life, who have already spent a good hour or two immersed in them. So this year, I again thought I’d try to help you guys navigate the guides even more by highlighting some of my favorite parts. Keep in mind that this is just one section from our Top Toys for Quiet Time & Independent Play and be sure to click through for more great finds! 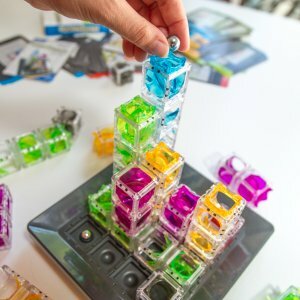 We’re big on engaging activities that develop critical thinking skills, which is why I was psyched to add this list of single player games to the gift guides. I love the idea of having an array of logic games that challenge different skills for my kids to choose from during quiet time. Plus, each of these games are just plain cool (and many just as enticing to adults as they are to the younger set). Moms figured out long ago that letting kids sort things in a muffin tin is a great quiet time activity. 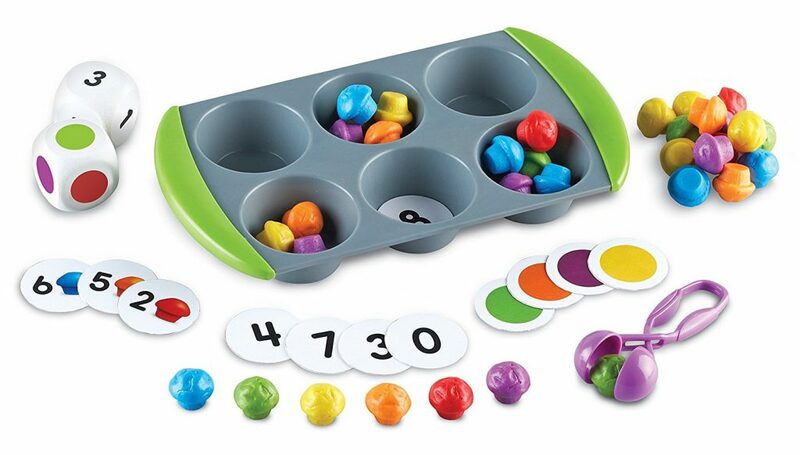 This playset expands on that idea by adding in multicolored mini muffins, dice, and cards that can be placed inside the muffin tin for sorting and math purposes. There are also some interestingly shaped tweezers for fine motor work. All in all this one has A LOT of play-ability. 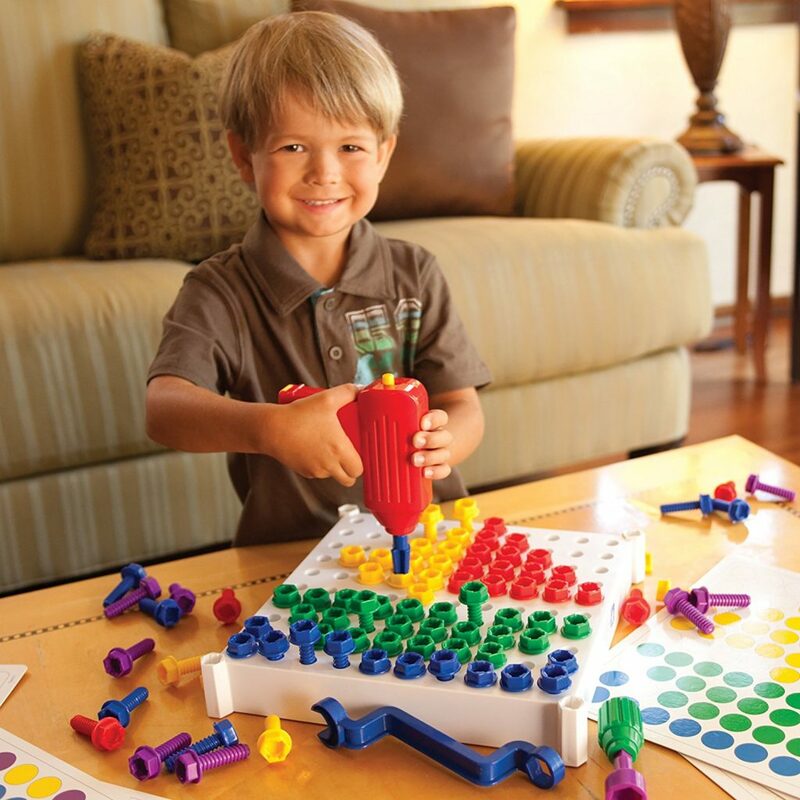 This open-ended toy provides hands-on experiences with early math concepts such as sorting, counting, number sense, patterning, and beginning addition and subtraction. 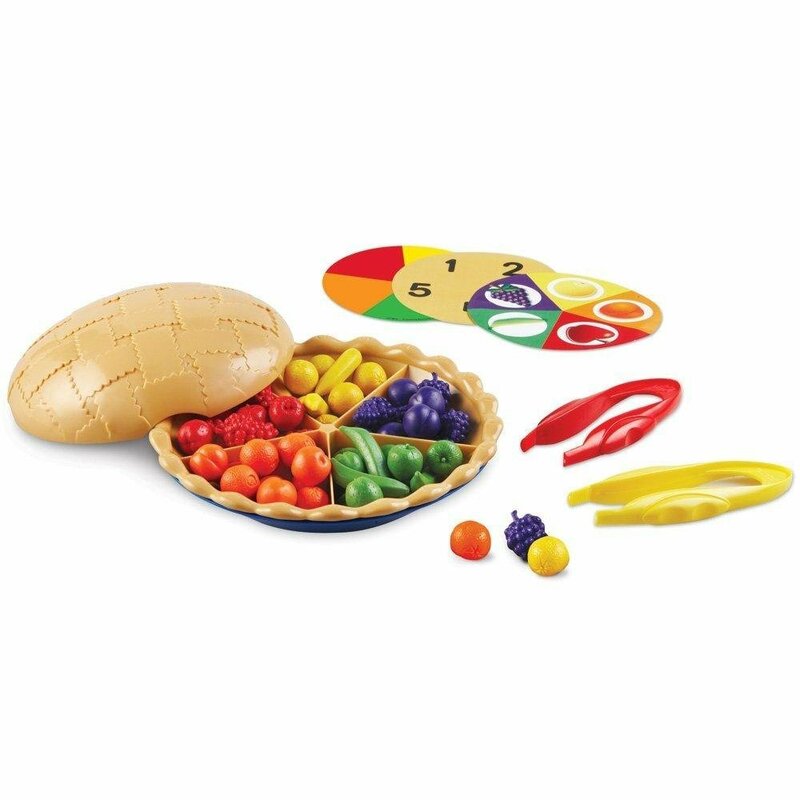 The pie has a removable sorting tray that allows children to sort and count the 60 fruits and veggies in many ways. Kids place the sorting cards into the bottom of the pan to provide visual cues that support success. Jumbo tweezers are included to reinforce fine motor skills needed for handwriting and the top crust can be used as a storage bowl when sorting. This simple toy gets tons and tons of glowing reviews from parents like this, “My two-and-a-half year old has a blast with this. She understands sorting by color or fruit type and she is content doing so for up to an hour at the dining room table while I make dinner. I love finding toys that allow her to think and use her imagination that don’t involve screen time.” and when kids are done with pattern making and sorting, they use it for dramatic play too! I particularly like how this particular toy combines fine motor skills with pattern recognition AND adds a great dramatic play element. We got it for our son when he was 4 and he played with it quite a bit until his little old sister took it over. Now our 1 1/2-year-old is starting to get in on the fun (mostly sorting and manipulating the pieces with his hands for now but I anticipate him picking up the drill pretty soon). The popularity of this toy has also led to some cool variations, including the Design & Drill Flower Power Station and, my favorite, the Design & Drill BrightWorks– which is like if the Design & Drill had a baby with the classic Lite Brite from my childhood (in other words, the pieces light up and it’s totally awesome). Psst – CHECK OUT MY VIDEO ABOUT THIS ONE HERE. The entire line of single player puzzle games from SmartGames gets such stellar reviews that it was hard not to recommend all of them! The bold colors of these two 3-D wooden castle puzzles especially caught my eye. I bought it for my daughter a couple of years ago and it was an absolute winner. 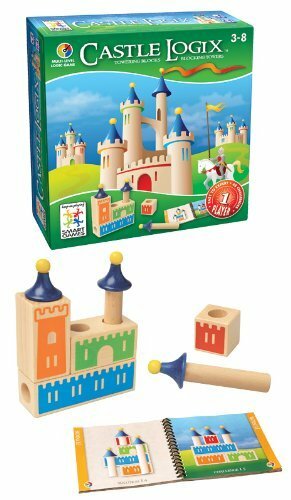 Assemble the wooden blocks and towers to match the challenges included in the booklet.With simple challenges for inexperienced builders to complex puzzles that will challenge skilled architects, these puzzles serve to develop logical thinking skills and spatial reasoning abilities. This one is a classic for a reason. 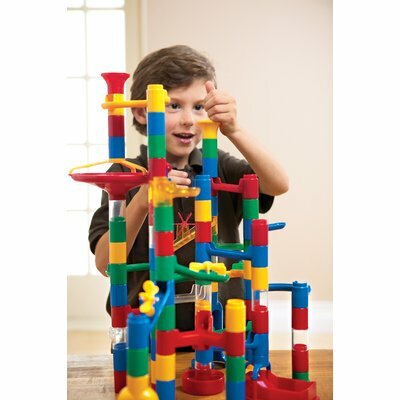 Kids have always loved (and will always love) building cool structures and watching marbles spin and drop down them. This is a perfect game to play alone or with others so it can be used for quiet time or playdates plus it’s great developmentally for fine motor skills, critical thinking skills, spatial awareness and more. My only caution is to be careful of small marbles that can be a choking hazard to young kids who still like to put things in their mouths, including younger siblings who may be nearby. Kids absolutely love marble runs (see above), which is why it is so smart that the goal of this single player logic game is to create a working 3D marble run. Thinkfun sent this one to us last year and my 6-year-old son, who is unusually drawn to spatial planning activities, was thrilled to receive it. Similar to Soduku but made much for fun with the addition of yummy looking chocolate pieces, this single-player logic game challenges players (or teams of players) to figure out where to place all of the chocolates on the board according to visual cues. 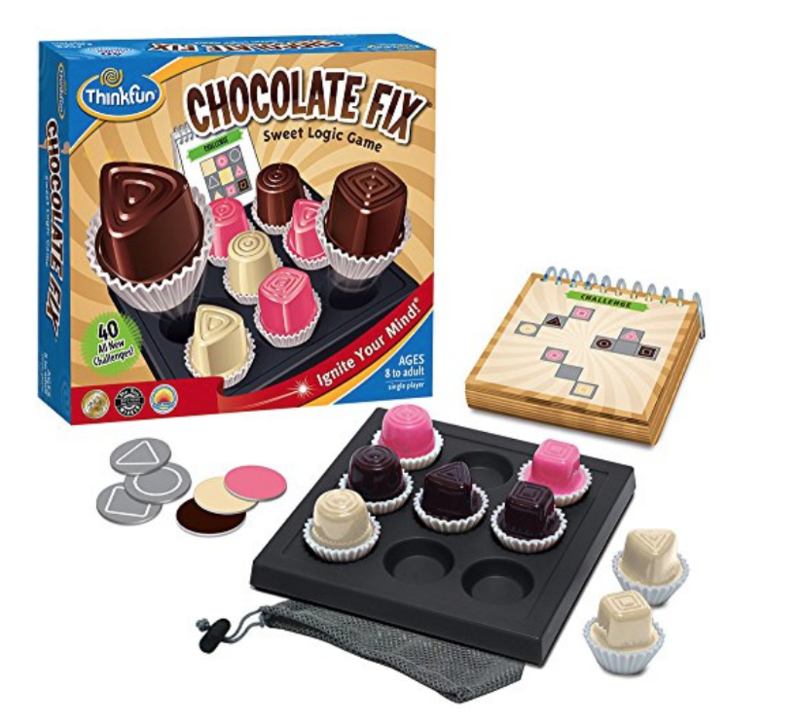 The game gets amazingly high reviews and I love that the chocolate pieces are extremely enticing to both boys and girls. It was one of the first single-player logic games, other than Castle Logix, to really grab the attention of my daughter and keep it. 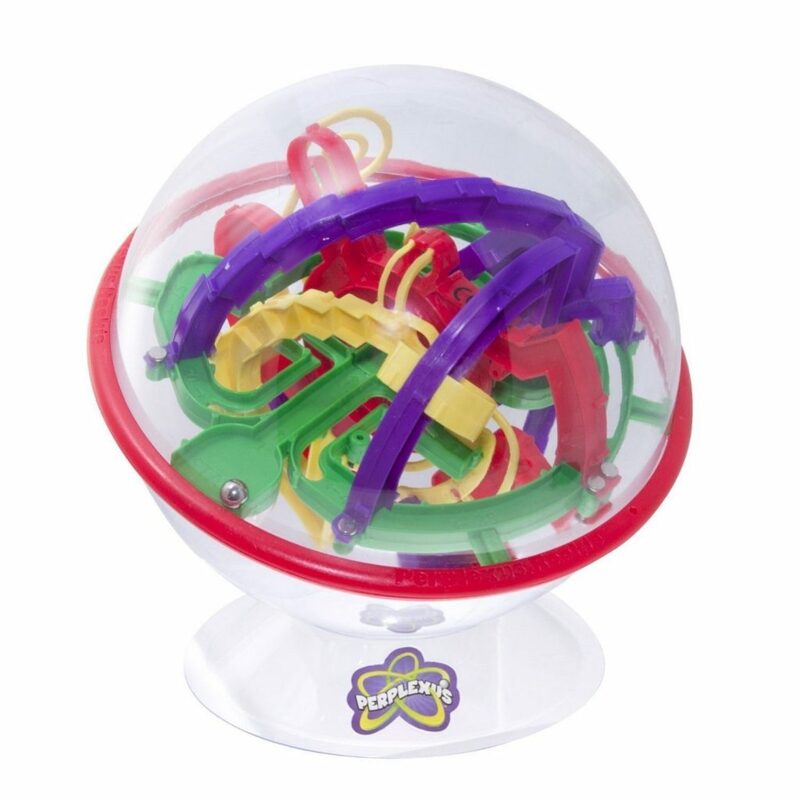 It’s made by ThinkFun which is one of our favorite producer of high-quality games for kids. This single player game takes it to the next level by using chess moves to solve logic puzzles. It’s the perfect thing for practicing emerging chess skills when there’s no one available to play with. Side Note: This game goes beautifully with No Stress Chess (a really smart game introducing beginners to the mechanics of chess in phases). As one of the only products out there with the real ability to get preschoolers and kindergartners interested in programming, this was the new toy/game I was most excited about when it came out. The most backed board game in Kickstarter history, it sneakily teaches preschoolers the fundamentals of programming, from coding to functions, while making silly turtle noises. Takes seconds to learn, minutes to play and provides endless learning opportunities. This game has been featured by NPR, Bloomberg, Make: Magazine, Boing boing, TechCrunch, Reddit, Geekmom, Geekdad and essentially lets kids write programs with playing cards. 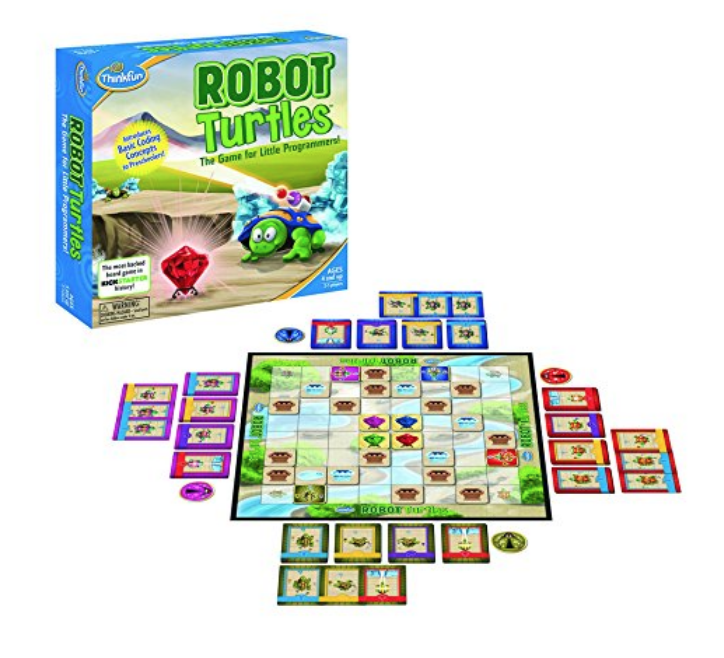 This is one of the rare picks on the list I didn’t buy because I asked my favorite game manufacturer, Thinkfun, to send it to me (and they gladly obliged since their other games like Laser Maze, Rush Hour, and Robot Turtles have been such huge hits on the gift guides in years past). 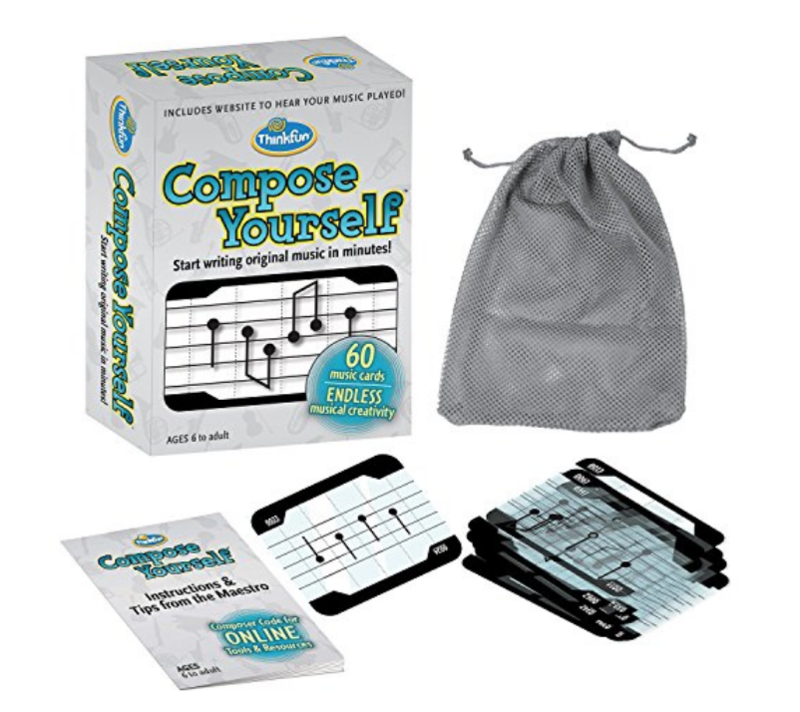 These cards are the perfect stocking stuffer size and I’m really excited to set my kids loose with this highly-rated new composer game and I know that they’re gonna flip over the app element. 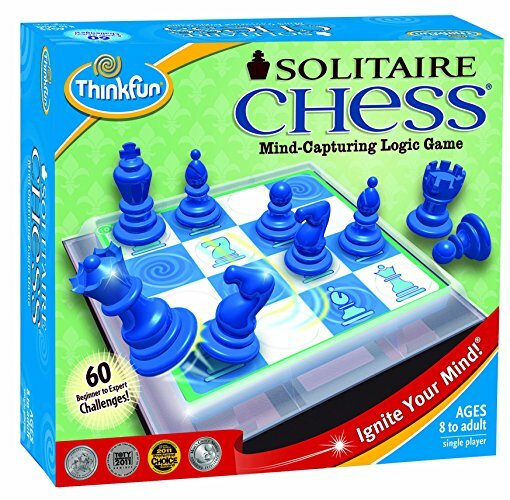 This is the second of the the three Thinkfun games I requested for my kiddos last year (the third was Laser Maze Jr.). 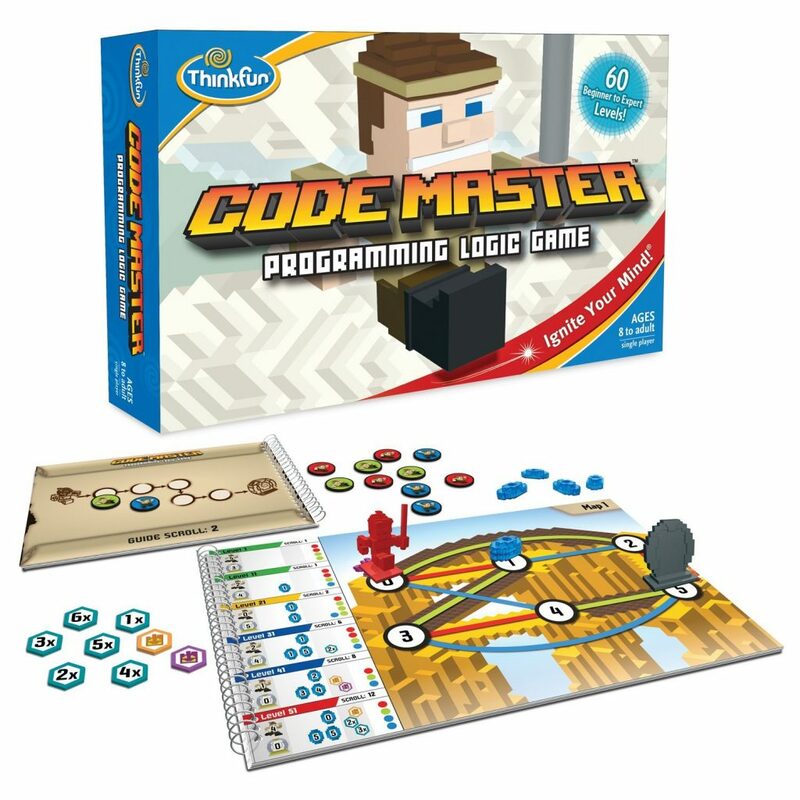 Like many of Thinkfun’s games, this one seems to do a very good job of incorporating an educational concept (in this case, the basics of coding) into an incredibly engaging game. Perfect for this list, it’s an offline game in which kids use “action tokens” to create a program for their avatars. The goal is to progress through 60 levels, collecting crystals along the way. The game builds planning, sequential reasoning and problem-solving skills along with more complex coding concepts such as loops and conditional branching. I am really intrigued to see what my son will do with it after he opens it up Christmas morning!